This week your advocate is Barrister Omar Khan Joy of the Supreme Court of Bangladesh and Head of 'The Legal Counsel'. His professional interests include commercial law, corporate law, family law, land law, constitutional law, banking law, arbitration and intellectual property laws. Our civil and criminal law experts from reputed law chambers will provide the legal summary advice. How does the law on narcotics work in our country? Is it illegal to possess narcotics (hold them for someone) or is it illegal to administer narcotic drugs on one and others? What if one requires it for medical purposes and has a valid prescription from doctor, does that make it legal to carry or have such drugs? What is the penalty? The laws relating to addictive drugs are quite strict in Bangladesh. The strictness stems mainly from the religious, cultural and social ambiance of the land. The Narcotics Control Act 1990 and the rules and regulations made thereunder are the central governing laws in this area. I will try to provide a very general understanding on the laws concerning to Narcotics in our country. The law has broadly divided narcotics into two categories, alcohol and other narcotics. 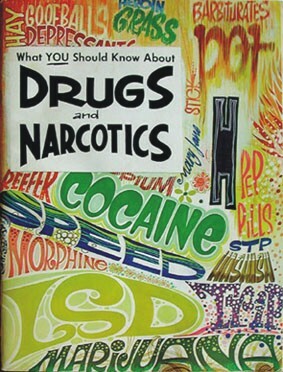 For narcotics that are not alcohol, cultivating, producing, manufacturing, carrying, transporting, exporting, importing, delivering, buying, selling, bearing, preserving, displaying, storing of all other drugs and plants and the ingredients of manufacturing the drugs are prohibited under the Narcotics Control Act 1990. However, if such prohibited drug is needed for production of any medicine, medication or for any scientific research then the government may give license to produce, import, export, preserve, sell and buy the same. The government may also give permit to use and/or pass to carry such drugs on the aforesaid grounds. Under the law, alcohol means any sprit or any other kind of wine or beer or any liquid containing more than 0.5% alcohol. So far as alcohol is concerned, no one can use, carry, sell, buy, store or produce alcohol without the license from the government. In case of drinking alcohol, any Bangladeshi needs to have a permit from the government. In case of a Muslim, such permit may only be given on medical grounds. For such medical treatment permit, one must produce the prescriptions prescribed by not lower then a civil surgeon or associate professor of the medical college. And there should be the name of the disease and the necessity of the drugs mentioned in the prescription. Such restrictions with regard to consumption of alcohol do not apply for a foreigner, who can drink inside a licensed bar. Foreign diplomatic passport-holders have some wide ranging facilities in terms of buying, selling and carrying of alcohols. It is interesting to note that the indigenous people of Rangamati, Banbarban and Khagrachari are allowed under the law to drink any alcohol that is traditionally produced in these districts. Besides, the indigenous people, cobbler, dome, sweeper, tea-garden labourers are permitted to drink 'Taree' and 'Pochui'. If any person by violating the said provisions of the law carry, transport, export, import, deliver, buy, sell, preserve, display or store different kinds of narcotics then depending on the type and amount of the narcotics, he may be liable for imprisonment for different terms. For example, for Heroin, Cocaine etc. for quantity of maximum 25 grams, the penalty is 2 years to 10 years of imprisonment. And for more than 25 grams the penalty is sentence to death or lifetime imprisonment. In case of Pethedrine, Morphine etc. for quantity of maximum 10 grams, the penalty is 2 to 3 years of imprisonment. And for more than 10 grams the penalty is sentence to death or lifetime imprisonment. In case of Ganja and other Cannabis for quantity of maximum 5 kg, the penalty is 6 months to 10 years of imprisonment. And for more than 5 kg the penalty is 3 years to 15 years of imprisonment. For Alcohol the punishment is 1 year to 5 years' imprisonment. In sentencing the drug-addicts, the Court may send the drug-addict to the Drug Addiction Rehabilitation Center in addition or in alternate to the punishment. The authorised personnel and police have very wide ranging powers with regard to arrest, search and seizure in narcotics related matters.